Drumroll, PLEASE — it's official! — Byron Health Center and Breast Diagnostic Center Win 3rd Place in the 6th Annual National Pink Glove Dance Competition, bringing this year's fundraising total to $4,500 for Francine's Friends. Videographer & Editor Clay Stahlka, Byron Health Center CEO Deb Lambert, Francine’s Friends board vice president Glynda Harris, Breast Diagnostic Center Director Marita Dwight-Smith and Byron Health Center Director of Marketing & Public Relations John Drebenstedt were all on hand for the official announcement on September 30th at Byron Health Center. 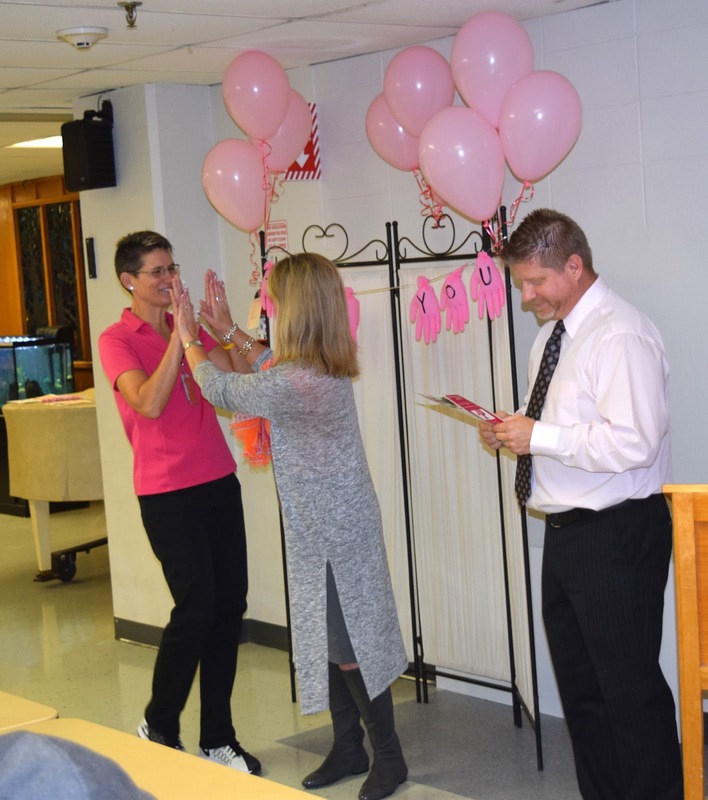 This is the third year in a row that Byron Health Center and Breast Diagnostic Center have participated in the Pink Glove Dance video competition, and the second time to place 3rd and garner the additional funds. 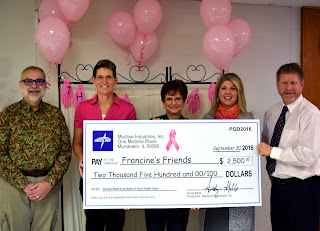 Thanks to all who helped ROCK THE VOTE and to our wonderful FRIENDS at Medline, Byron Health Center and Breast Diagnostic Center for selecting Francine's Friends as the charity of choice! Visit PinkGloveDance.com to view Byron Health Center’s winning video. Click here to see some behind-the-scenes shots of the making of this year's Pink Glove Video. Fort Wayne, IN – 2016 marks the sixth year that the Medline Pink Glove Dance video competition has united dancers nationwide, including healthcare professionals, breast cancer patients and survivors to celebrate and raise awareness for those still fighting – all through the joy of dance. The votes are in and Medline announced today that Byron Health Center and Breast Diagnostic Center have won 3rd place in the small-bed category of the competition. 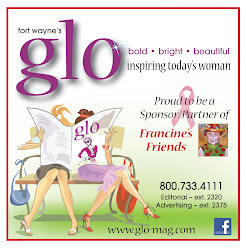 Determined by public online voting, Byron Health Center and Breast Diagnostic Center received 5,080 votes, and has won a $2,500 donation from Medline to the breast cancer charity of its choice, Francine’s Friends, which provides mobile mammography screening and follow-up services to women in northeast Indiana. Furthermore, as part of the organization’s fundraising efforts during the competition, an additional $2,000 was raised for the charity. This is the third year in a row that Byron Health Center and Breast Diagnostic Center have participated in the Medline Pink Glove Dance video competition, winning 3rd place in both 2014 and 2016. Byron Health Center CEO Deb Lambert, who is a two-time breast cancer survivor, invited Francine’s Friends to Byron Health Center so employees could be tested for breast cancer. This helped detect breast cancer is one of the employees. 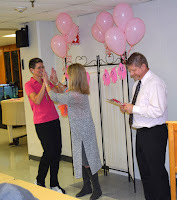 To create the video, 50 people, including staff and community members danced while sporting Medline’s pink exam gloves to celebrate hope for a cure for breast cancer, as well as honor those who have been affected by the disease. Byron Health Center, Breast Diagnostic Center and Francine’s Friends mobile mammography would like to thank all those that made the filming possible including Clay Stahlka among others for their unrelenting support of the project. Medline is a global manufacturer and distributor serving the healthcare industry with medical supplies and clinical solutions that help customers achieve both clinical and financial success. Headquartered in Mundelein, Ill., the company offers 350,000+ medical devices and support services through more than 1,200 direct sales representatives who are dedicated points of contact for customers across the continuum of care. For more information on Medline, go to www.medline.com or www.medline.com/social-media to connect with Medline on its social media channels. Medline Media Contact: Stacy Rubenstein, (847) 949-2286, srubenstein@medline.com.